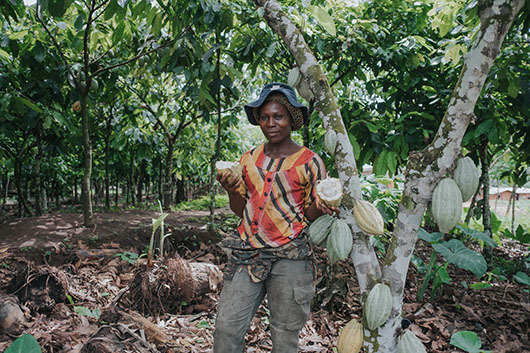 The world’s largest chocolate companies – Mars, Nestle, Ferraro – have signed global agreements and made major commitments to bring the industry to net-zero deforestation, help fight climate change and provide more economic benefits to locals. But a dearth in research to support such lofty ambitions makes one wonder if this will ever be achieved. CIFOR scientists in Africa’s ‘cocoa belt’ are trying to help, most recently by finding out how cocoa trees can be mixed with other agriculture – and what kinds – to store more carbon, boost rainfall, provide more food and income to locals, and aid the health of the earth to ensure it will still be profitable for future cocoa-growers. It turns out there’s much left to learn about making candy bars. Read the full story on Forests News. In Africa, how will 100 million hectares of degraded landscapes be restored? Why do rangelands matter? What’s the private sector doing? Tune in to GLF Nairobi tomorrow and Thursday to listen to scientists, policymakers and business experts dig into these topics and more, take polls and ask questions, and watch Afro-roots star Rocky Dawuni perform live. How far has Indonesia come on peatland restoration and conservation? Watch this space for the soon-to-be-announced theme, agenda and exciting events happening for GLF Bonn 2018. More than 1,500 attendees from all sectors and parts of the world will convene in Bonn Germany, 1–2 December for the culmination of our year.